Chicago winters are full of snow. Once the blankets of white draw up around us, it will be months before we see any green again. 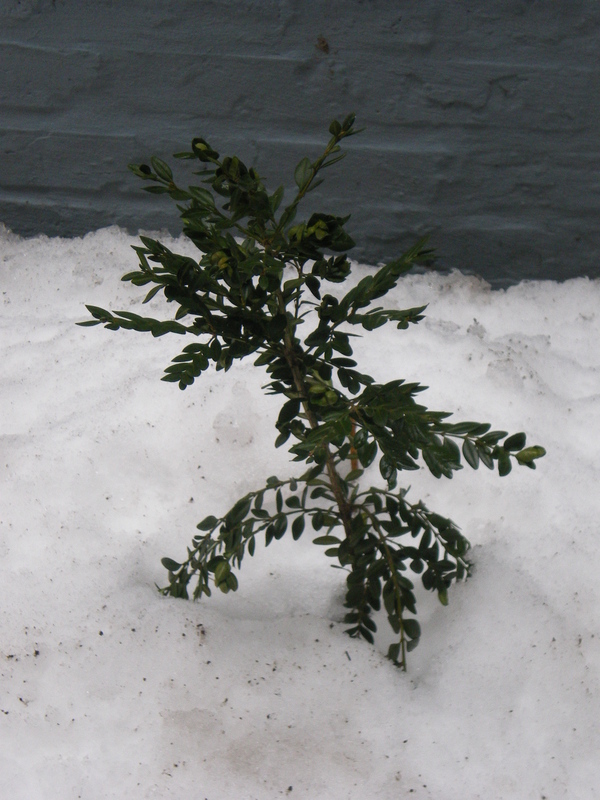 Recently, I took a picture of this bush branch pushing its way up through the weighty snow. One word immediately came to mind. Determination. Seeing this bush made me laugh to myself as I have been thinking a lot about what I am determined to do. Lately, I’ve been thinking a lot about my purpose and life work. I am not a big resolution person. I don’t feel like “resolve” has the same meaning and motivation that being “determined” carries for me. I try to make some short-term and long-term goals for my Earthday yearly so, I have decided to create 11 determinations for this 11th year in the century. I listen to this song daily to stay focused on what I have to accomplish. So now that I have my mantra, let’s have some Determinations. Spending more time with her and her father is my number one Determination for this year. I first completed my birth doula training in 2007 in New York. I trained with Debra Pascali-Bonaro, creator/director of Orgasmic Birth (great movie for those interested). I met some interesting women at the training but didn’t feel too connected to the birth community like I do now. I volunteered at the Family Health and Birth Center in Washington, DC before moving back to Chicago. Once back here in Chicago, I kind of fell off as a doula until I began my studies to become a Certified Professional Midwife (CPM). As soon as I started my classes, I became pregnant. Again, I put my doula training on the back burner and just focused on taking care of and de-stressing myself during my pregnancy. Since having Himiwe, I am now back in the game. I have been blessed to be present for some awesome births with loving and conscious parents. I have been attending about one birth a month and am determined to continue this throughout the year. 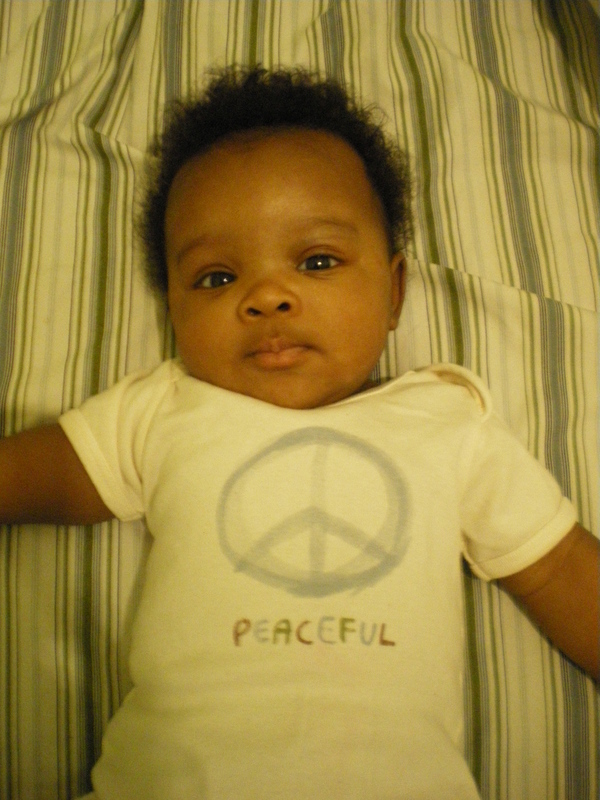 To add on to my 2nd Determination, I want to expand my doula services as the baby gets older. So with that said, I need to develop my website, business cards and marketing strategies. In the meantime, I hope you keep checking out this blog. I have been thinking incessantly, about the future in terms of my financial role in my family. I’m constantly thinking about how to maximize my income where I can, again, be more present for my family. I am determined to devise a three-year plan where I can do birth work more consistently and ultimately create a business with this knowledge I have. So, another Determination for the next few months is to really think about what I SPECIFICALLY want to do, create a (business) plan for my work and then work my plan. I’ve started taking West African dance classes at Old Town School of Folk Music with Harry Detry from Muntu Dance Theatre of Chicago. It is awesome!! I really love the instructor and it feels so GOOD to be dancing again. 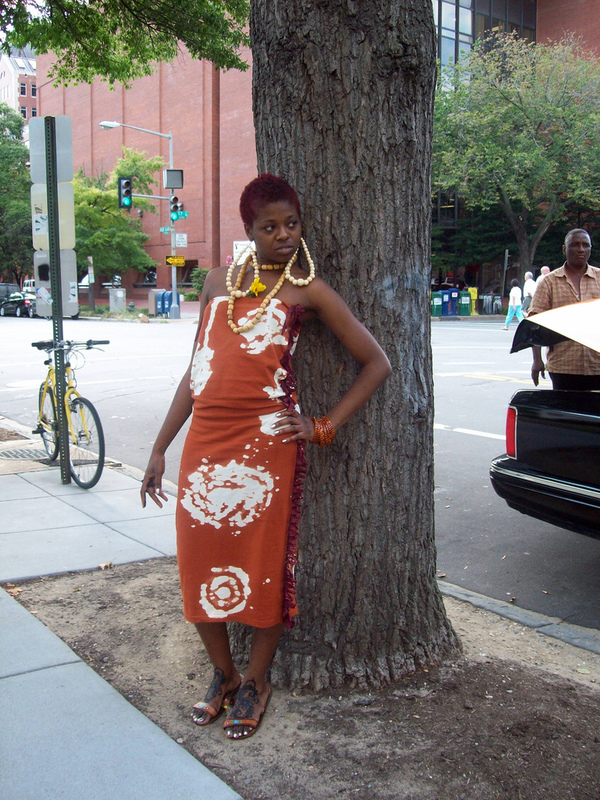 I danced in DC but again, since moving back to Chicago, I’ve been so busy with work that I’ve kind of lost myself. I can’t wait for Tuesdays to roll around so baby and I can hear the drums and mama can move her body. Ahimsa attends class with me and “plays” a baby djembe. 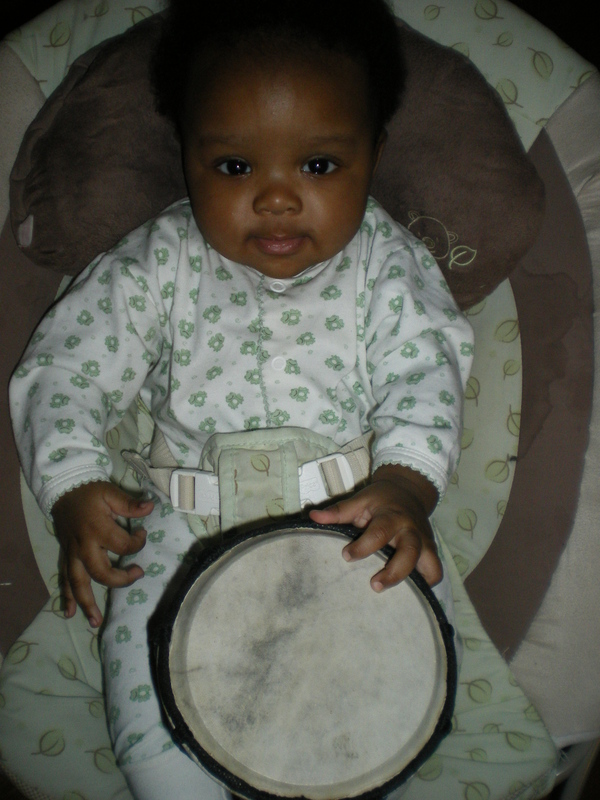 She actually just stares at us and holds her djembe sweetly. I have been studying to become a Certified Professional Midwife for a little over a year. I have come to terms that this journey may take longer than I anticipated; especially with a little baby. CPMs are specifically trained to attend out-of-hospital births. They are illegal in some states, one of those being Illinois. Because of this it is a bit harder to find someone to apprentice with so right now I have been doing the “study” part with the hopes to travel somewhere else to get birth numbers. A Determination I have for this year is to make time to study more. I’m determined to organize my life where I can study for a least an hour a day. My partner and I have a list of places that we want to visit as a family. This list includes Dakar, London, Amsterdam, Johannesburg, and St. Croix (and there are plenty more). I am determined that we go out of the country every year. 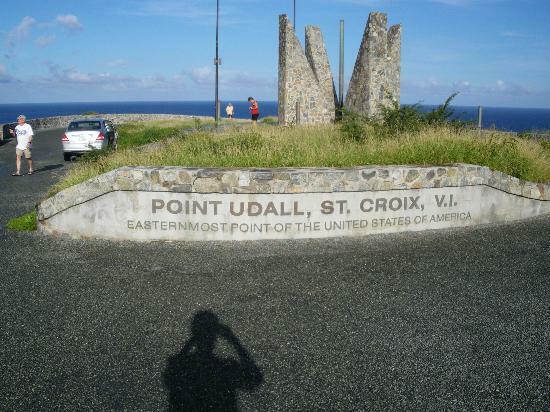 Our goal for this year is visit family in St. Croix, US Virgin Islands. Water, beaches, fruit, sun, and a relaxed atmosphere are EVERYTHING I need at this moment. I’m really looking forward to it. Many people don’t know that I am a textile artist. 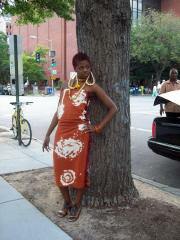 I do quilts and textile design as well as design clothes. This is one of my greatest loves. I’ve had huge shows in the past but again, I have lost my way. When I was pregnant I started a quilt for baby. Needless to say, I never finished it. A Determination I have for this year is to finish Himiwe’s quilt but to also do more textile work. Even if I don’t have a showing of my work this year I want to begin to add to my portfolio, to finish some projects I started, and to possibly show some new work early next year. 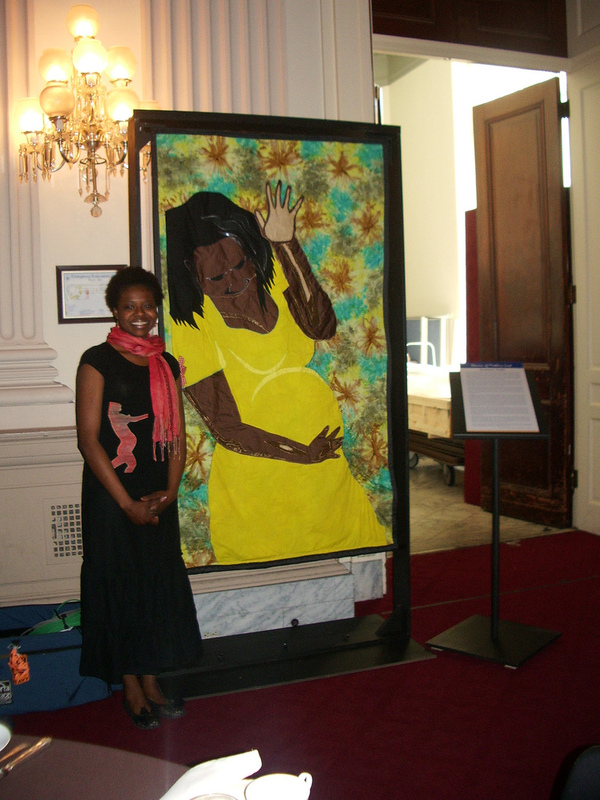 The picture below is a quilt I did for the White Ribbon Alliance for Safe Motherhood’s exhibit, Stories of Mothers Lost back in 2008. This was on Capitol Hill. Another Determination at this time is to return to the land of Veganism. I’ve been a vegetarian since 2000. I became vegan in 2006 and stopped in 2010; going back to lacto-ovo-vegetarianism. I want to go back to how I used to eat; in consciousness. I became vegan again at the start of this year and it feels so good to me. I feel lighter and freer. My body just works and does what it needs to do; something it wasn’t doing before. People always ask about how this will affect Ahimsa. I tell them she will know from the beginning how to “eat to live” and know that our lifestyle, including what we feed her, has everything to do with our intentions in parenting. We’ll tell her this was our main intention behind naming her Ahimsa. I am the master of procrastination. Sometimes I’m so stimulated by things and wore out from work that I put other things–things that I want to do–aside for later. Not this year. I want to master time management and really put an effort in to doing what needs to be done right now. My 10th Determination should in fact be the 1st so that everything else can manifest. This last Determination brings be back to the first. Without love and life with those that love me, I remain stagnant. I am determined to be more PRESENT in my experiences with my family and friends. I’m determined to not let fear, my lack of financial creativity, worries, or things that don’t matter deter me from a better life. And with this, I will close. Until my next Earthday I have a lot to focus on and accomplish. Many your new year bring you closer to your goals! Hey mamas, what are some of your Determinations for 2011? You are such a beautiful soul, I look forward to assisting you as much as i can with completing your goals (business cards/website). Thank you love! I know much of this i wouldn’t be able to do without you. especially having ahimsa during those all day/all night births. this year is about completion…remember that! Thank you sis! I feel good about it. Not too overwhelmed. May your year be full of beauty and prosperity as well! 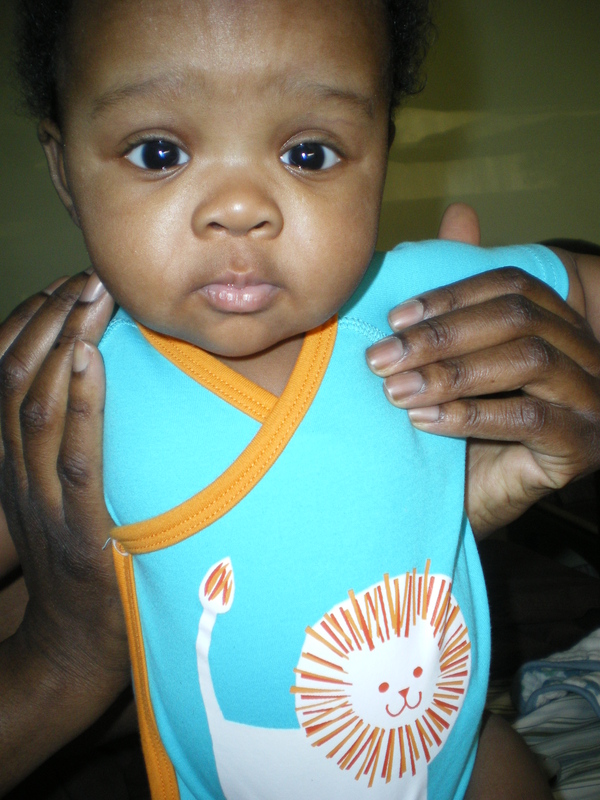 i love ahimsa, i could look at pics of her all day. i also love this blog, i hope you keep going with it! !